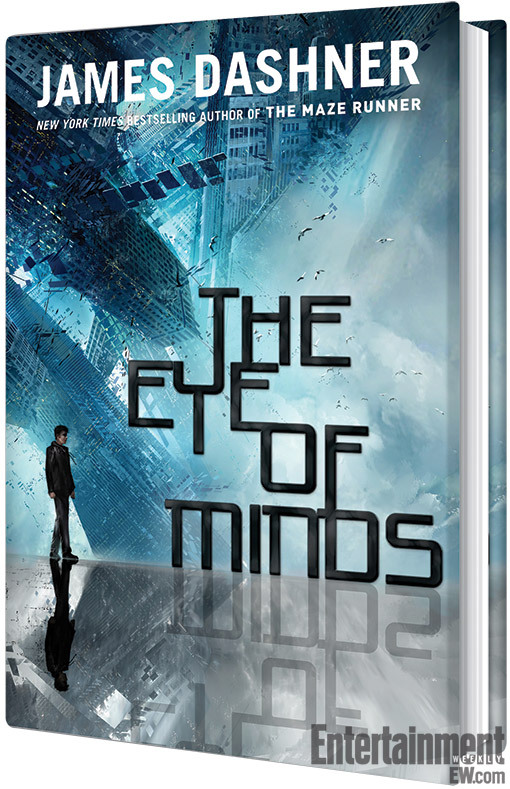 Empire of Books: James Dashner's new book gets a cover! Now I am officially excited! I loved Jame's last trilogy, The Maze Runner, which consisted of The Maze Runner, The Scorch Trials and The Death Cure and I am looking to get around to the prequel, The Kill Order pretty soon! But on to new things... James has a new trilogy that he's working on and the first book is out on 8th October in the US of A. No word on a UK release but fingers crossed. I shall just import a copy anyway! Good old Book Depo! "An all-new, edge-of-your seat adventure from James Dashner, the author of the New York Times bestselling Maze Runner series, The Eye of Minds is the first book in The Mortality Doctrine, a series set in a world of hyperadvanced technology, cyberterrorists, and gaming beyond your wildest dreams . . . and your worst nightmares. Michael is a gamer. And like most gamers, he almost spends more time on the VirtNet than in the actual world. The VirtNet offers total mind and body immersion, and it’s addictive. Thanks to technology, anyone with enough money can experience fantasy worlds, risk their life without the chance of death, or just hang around with Virt-friends. And the more hacking skills you have, the more fun. Why bother following the rules when most of them are dumb, anyway? But some rules were made for a reason. Some technology is too dangerous to fool with. And recent reports claim that one gamer is going beyond what any gamer has done before: he’s holding players hostage inside the VirtNet. The effects are horrific—the hostages have all been declared brain-dead. Yet the gamer’s motives are a mystery. The government knows that to catch a hacker, you need a hacker. And they’ve been watching Michael. They want him on their team. But the risk is enormous. If he accepts their challenge, Michael will need to go off the VirtNet grid. There are back alleys and corners in the system human eyes have never seen and predators he can’t even fathom—and there’s the possibility that the line between game and reality will be blurred forever." WOOOOP! I never knew it was a trilogy!? I've only read The Maze Runner, but I really enjoyed it. This looks just as good-and what a cool cover. Thank you for sharing!